The following piece is being republished with permission of the co-editor-in-chief of News Junkie Post (Making Sense of the News), Dolores M Bernal. Originally titled, "What's Ailing Roger and His Fox Trots," this was written by Amy Beth Arkawy. Although originally published last November 18th, her perspective on Glenn Beck makes her wager near the end still relevant. What’s Ailing Roger And His Fox Trots? Well, that last statement is not true. A lot of people watch. And some of them don’t seem–pardon the clinical term–nuts. A recent trip to Starbucks took a sour turn ( and it had nothing to do with the soy milk) as I got sucked into a conversation between two well-heeled retired men, charming old guys with whom I’ve shared many jovial conversations ( usually about things other than politics). 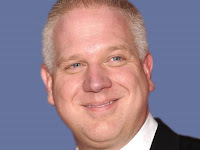 One guy was singing the praises of Glenn Beck and his recent crusade against George Soros. “Looks like he’s loaded for bear, ” he said. “Yeah, he’s determined to stop Soros. They’ve got to shut him down, ” the other one said. “Because he’s a Nazi,” the first guy said. “Well, maybe not, ” the second guy said. “I don’t watch that show too often.” Then he buried his head in Rupert Murdoch’s rag sheet “The New York Post.” ( which I, admittedly. also peruse for gossip and a few laughs). So it’s not surprising to discover the wind beneath the bloviators’ hot air, Fox News President Roger Ailes, is just as vitriolic as his clown princes. In an interview with The Daily Beast’s Howard Kurtz, Ailes railed against Jon Stewart, calling “The Daily Show” Host “crazy,” insisting he lives for “polarization. If there wasn’t polarization his show would bomb, ” he said. ...After receiving complaints from the Anti Defamation League for blithely trotting out the Nazi card, Ailes apologized, saying he “shouldn’t have used that term.” Of course, he couched it by claiming he was merely “ad-libbing.” I’m not sure how that excuses using the words Nazi or Nazism something like five times in one conversation. But Ailes is just following his fright wingers’ lead. Or is it the other way around? Either way, the strategy is the same. Shoot first. Apologize later. But only if it’s absolutely necessary. And then whatever controversy you cook up can easily be spun into grubby ratings gold. That gold is about the only thing left to sell on Glenn Beck’s show, has a certain poetic irony that perhaps only weary liberals can appreciate. Well, that and freeze dried food for the bunkers where Beck and his paranoid followers will be residing once that Nazi New Order swings through town. I don’t know–or care–if Beck believes his own hysteria, but I’m willing to wager a box of that freeze-dried lasagna that Ailes knows its all theatrical fright wing fireworks. That he’s cynical enough to endorse such a dangerous game–and play it himself– takes shameful to a new despicable low. Time to change the Fox News Slogan for good. Something like “We Distort, You Believe,” sounds about right. Or fright.